Thank you, Girl Scout Junior Troop 40001! The Girl Scout Bronze Award is the highest award a Girl Scout Junior can earn. It is awarded to a troop that works together to make positive change in their community and world. 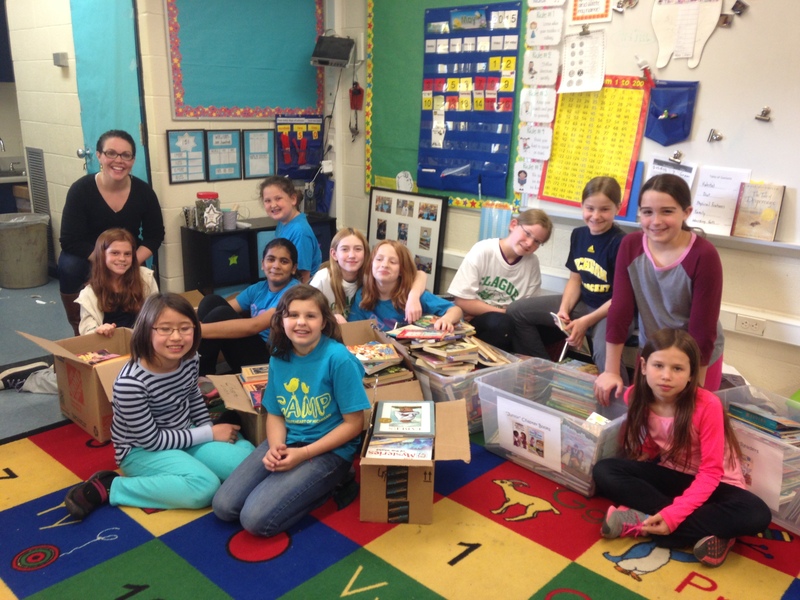 To earn their Bronze Award, the girls in Troop 40001 decided to work together to support literacy in their community. We are so grateful for their donation of over 2,000 children’s books to RX for Reading Detroit! It was a privilege to work together to sort their books and prep them for delivery to two RX for Reading Clinic Libraries in Southwest Detroit. What an incredible group of young people! Girl Scout Junior Troop 40001 with RX for Reading Executive Director Mary-Catherine Harrison and some of the books they collected. RX for Reading Detroit can only do the work we do because of organizations like Girl Scout Troop 40001. If you have books to donate or if you are part of a community organization that would like to run an RX for Reading Book Drive, please contact us. We have had Book Drives organized by preschools, elementary and middle schools, churches, libraries, even a yoga studio! Book Drives can be as big or little as you want, and RX for Reading provides all the materials you need. Thank you to Girl Scout Junior Troop 40001 for your work on behalf of children’s literacy. You helped make our community stronger! ← RX for Reading Little Free Library in Gesu Community Green!